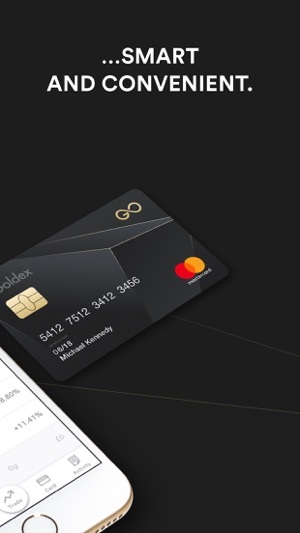 Goldex, a new breed of gold provider: fair, smart and convenient. Trade with other peers across 5 international locations to always obtain the best prices. Make instant savings by using our smart algorithmic technology. 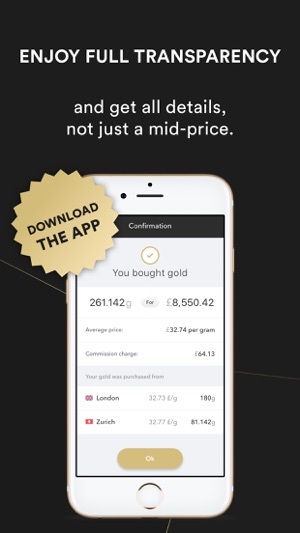 Whether you are an expert gold investor or a newbie, get the best value for money and in a secure, transparent and convenient way. • Best gold deals: as the first ethical gold provider that doesn’t own gold, Goldex doesn’t need to manipulate or inflate prices. 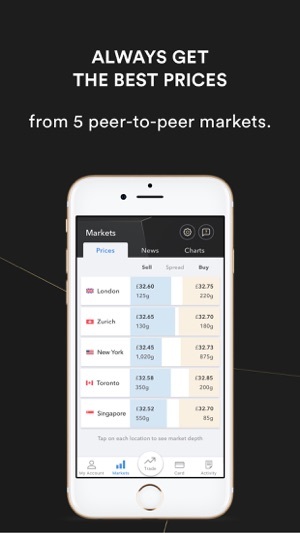 Trading in the largest global peer-to-peer market makes all the difference. 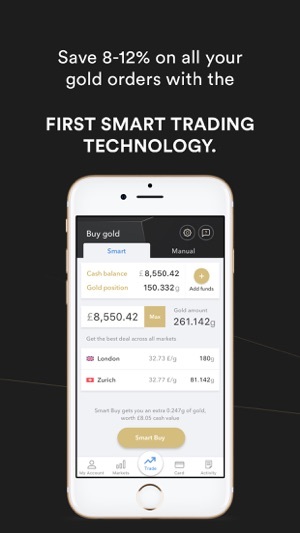 • Smart trading tools: generate instant savings of 8-12% on all your gold buys and sells thanks to our smart algorithmic technology. We pass all savings to you, not keeping a penny. 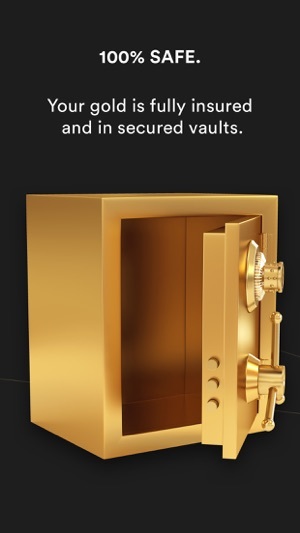 • Multiple vaults: choose where to buy or sell gold out of 5 gold market locations (London, Zurich, New York, Toronto and Singapore). 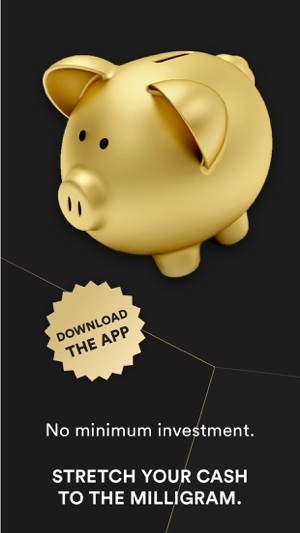 • Fractional investments: stretch your gold to the penny. With Goldex there is no need to trade in minimum lots of 1 gram, that’s why there is no minimum investment required. 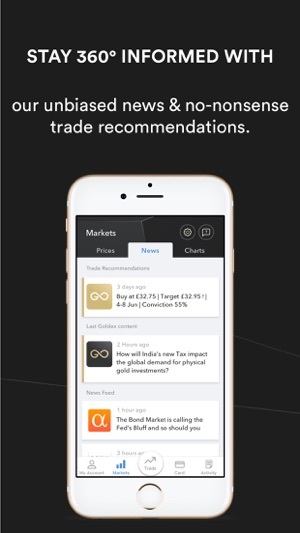 • 360 informed: stay on top of market trends with Goldex un-biased gold related news and charts. Act upon our short-term trade recommendations with our price alerts and limit orders. • Full transparency: see every single detail about your activity, commission fees, average prices and vaulting charges. Goldex has no hidden charges. • The first dual card of its kind: coming soon! For convenience, turn your gold into cash with an innovative MasterCard. • Your gold and cash are ring-fenced from potential creditors because it is held in a Goldex Trust. Always in your name and fully insured and stored in high security vaults. • The Goldex technology infrastructure has been designed by cybersecurity experts. • Goldex uses industry leading technology in strict compliance with the 4th European Money Laundering Directive. 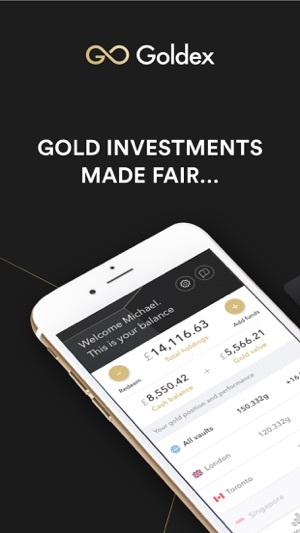 • An outstanding management team with proven credentials and working alongside worldwide recognised advisors in finance, gold, technology and payments. Join the rush. Become a pioneer. We keep listening to your feedback, please keep it coming! - Fixed bug that prevented users from agreeing to Terms and Conditions. We continue to strive to give you the best gold trading experience out there. The app is really easy to use. Simple to set up yet it gives you a good feeling about security. Does not have all adverts stuff. The information about the market is well done and gives an excellent view on how prices vary. 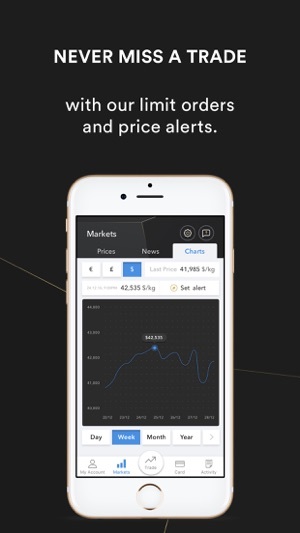 Even if you have no experience with gold trading, this app makes you feel like an expert. High five to the Goldex guys! Great design means this is super-easy to use and it does everything you could want to buy, sell and hold gold. I especially like the charts and getting notifications if/when gold hits a certain point. It takes all the hassle and worry out of investing in gold. It couldn’t be easier. Great new app. Super easy to install and use. It makes it really easy to sell or buy gold whatever the amount one wants to invest. I really like the fact that my investment can be spread in various places. The app recommends where is the best place to buy and gives regular tips. Recommended.